What is Hearsay? Can They Prosecute Me Based On He Said/She Said? One of the most misunderstood issues in criminal law is hearsay. People often confuse he said/she said evidence with hearsay. Many people believe that the State cannot prosecute a person based on he said/she said evidence. This article seeks to clear up any misunderstandings regarding what hearsay is and isn’t and when the State can proceed on nothing but verbal testimony. 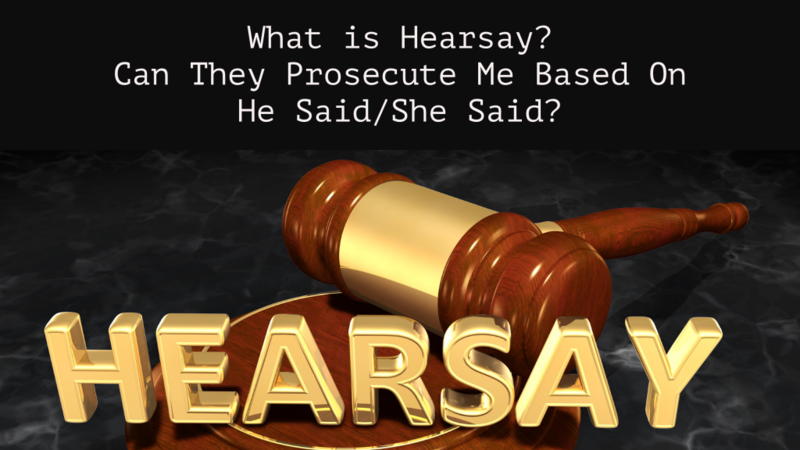 Hearsay is defined as an out of court statement offered to prove the truth of the matter asserted. Plainly speaking, it typically means that a witness is testifying in court to what someone else said out of court. For example, if witness John Smith takes the witness stand in a DUI case against Mike Adams and says, “Ms. Jones told me that Mike Adams was driving recklessly,” that would be hearsay. The statement, “Mike Adams was driving recklessly,” is being offered to prove that Mike Adams was driving recklessly. This also was an out of court statement made by Ms. Jones. So, this statement should not be admissible unless it fits into one of the statutory hearsay exceptions, as discussed below. Eyewitness testimony is not hearsay. He said/She said testimony usually refers to a situation where the only evidence is the testimony, or statement, of one person. “The Defendant pushed me and hit me in the shoulder.” This is not hearsay evidence and it is admissible. If the State was prosecuting a the Defendant for battery, the prosecutor could call the listed victim who would testify that the Defendant pushed and hit her. If the jury believed that witness beyond a reasonable doubt, the jury could render a verdict of guilty and the Defendant could be convicted based on nothing more than the word of one person. No physical evidence is required. The State doesn’t need a recording, injuries, fingerprints, or any other physical evidence. Of course, physical evidence can make a jury more likely to convict, as opposed to He said, She said testimony. But, why isn’t this hearsay? The witness in this case, the victim, is not testifying to what someone told her. She is testifying to what she observed with her own eyes. If the witness points to a defendant and says, “That man pushed and hit me,” this is direct testimonial evidence. It would be up to the defense attorney to impeach that witness and convince the jury that the State has not proven beyond a reasonable doubt that the Defendant pushed or hit the victim. No. Hearsay is not always inadmissible. There are a whole lot of rules of evidence that lay out when hearsay statements are admissible at trial. There are also many out of court statements that are not hearsay at all, and therefore may be admissible. For example, if a Defendant says something against their interests, it is usually going to be admissible, even if the statement was made out of court. This is because there is a specific hearsay exception for admissions against interests and Defendant statements. For example, if the Defendant on trial for DUI had admitted to a friend that he drank a few beers prior to driving, those admissions will usually be admitted into evidence. Why? Because people don’t tend to make incriminating statements about themselves unless they are true. If you tell a friend you had several beers to drink before getting pulled over for DUI, it tends to be true. Why else would you say it? 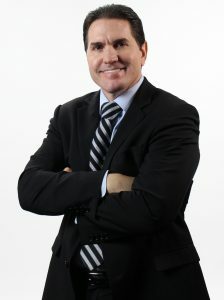 If you tell a police officer that you haven’t had anything to drink, but you have an odor of an alcoholic beverage on your breath, this statement is deemed less trustworthy, because people tend to make exculpatory statements (statements made by a person proclaiming innocent behavior – I’m innocent), even when those statements are not true. What are some examples of when hearsay is admissible? The exceptions to the hearsay rule are codified in Sections 90.803 and 90.804 of the Florida Evidence Code. There are way too many and the exceptions are too complex to lay out fully in this article. In fact, it takes years of litigation practice to fully understand them and still lawyers argue and litigate whether these exceptions apply on a regular basis. But to give you a sense of some of the hearsay exceptions, here are some common examples. The exceptions allow out of court statements into evidence because these type of statements have been deemed to be more reliable than typical out of court statements. A spontaneous statement is an out of court statement made while the person is perceiving the event or immediately afterwords. For example, “[t]hat yellow car just ran a red light and hit that little girl.” Statements made as you are witnessing an event tend to be more reliable than a statement made after thinking about it and processing how you want to frame the statement. An excited utterance is like a spontaneous statement, however, it is made when a startling event or condition causes the person to be in a state of excitement. Prosecutors often use 911 calls in domestic violence cases as evidence. They offer the out of court statement made by the victim who has often changed his or her story about what happened. For example, a husband and wife might get into a domestic dispute and the wife calls 911 hysterically crying stating that the defendant is pushing and shoving her. At the time of trial, the wife may no longer want to cooperate with the prosecution and may say that the whole thing was blown out of proportion. The State may be able to use the 911 call and those statements made when the wife was in an hysterical state as evidence against the Defendant, even when the wife does not want to cooperate. Public records, medical records, certified records and more are often admissible under a hearsay exception because these types of records tend to be trustworthy. These are only a few of the examples of hearsay objections that are available. Whether an out of court statement is admitted as evidence against a defendant depends on whether the statement is a hearsay statement, whether there is an exception under the law, whether the statement fits the exception, and whether the judge finds that the statement is trustworthy.